Do you feel like you’re constantly running around, trying to get everything done? At the end of every day, do you always feel the urge to just watch TV and go to sleep? Does your To Do list feel endless? Do you feel like a hamster, constantly running around in circles but never actually getting anywhere? You’re not alone. 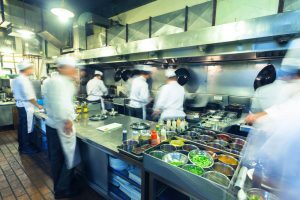 Your experience is common – managing a commercial kitchen is no easy task. It involves constant prioritizing and reprioritizing to ensure the most essential tasks get done. Seriously think about it for a minute. What tasks can you move off your plate? Depending on your team is a really good idea – that’s what they’re paid for! Plus there may be an increase in morale when you give your kitchen staff more responsibility. And your health and stress levels will definitely improve. Partner with Flue Steam for all your kitchen exhaust cleaning needs – including both cumbersome hand-scraping and thorough steam cleaning services, and you’ll never have to worry about meeting codes for this essential area of your kitchen again. Our kitchen exhaust cleaning services also include fans, hoods, and ducts cleanings as well. We have specialized equipment and techniques that allow us to make sure your exhaust system is always in ideal condition. 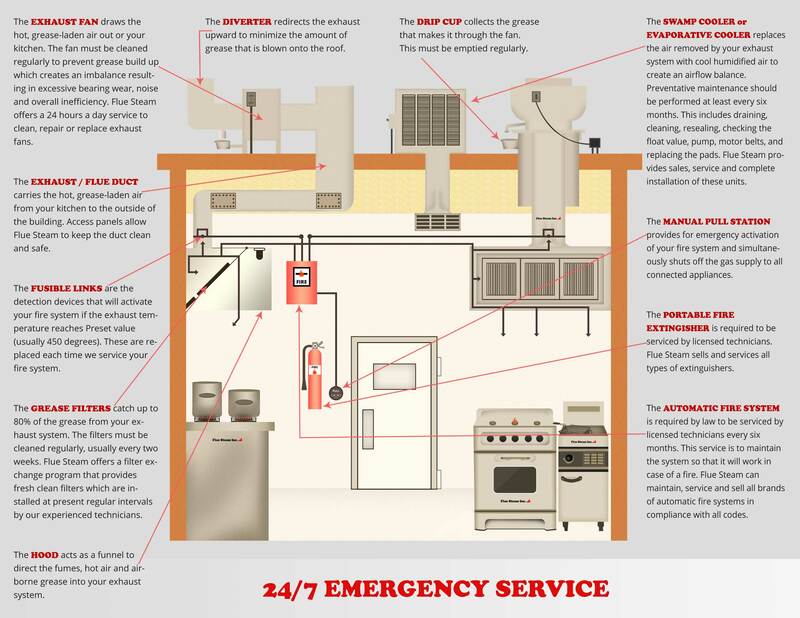 We meet all NFPA and CMC Requirements to ensure your commercial kitchen always meets code requirements and stays perfectly safe for your staff and customers. Commercial kitchen managers, get the support you need to keep your commercial kitchen running smoothly by establishing your partnership with Flue Steam today.